A Windsor Police officer was struck by a fleeing suspect following a break and enter at an auto repair shop on Wyandotte Street. 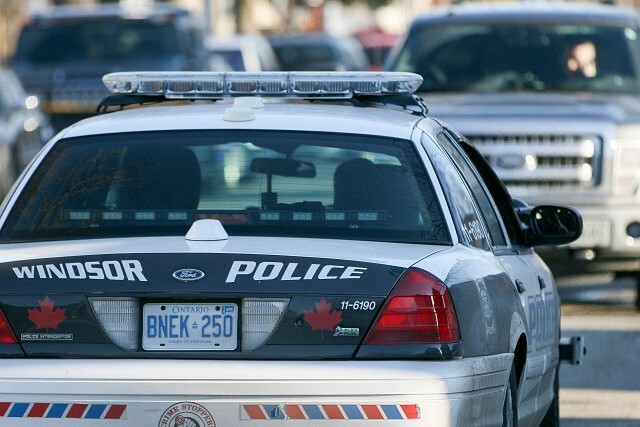 Just before 5am on Thursday April 11th, Windsor Police officers responded to an auto shop in the 1200 block of Wyandotte Street East for a report of a break and enter in progress. Responding officers arrived and found two male suspects who began to run through the parking lot. They then jumped a fence into an alley. Officers initiated a foot pursuit. Officers approached the car and told the driver he was under arrest. The driver put the vehicle into reverse and fled the scene. The police officer was struck by the fleeing vehicle and was treated for non-life-threatening injuries. The second suspect fled the scene on foot. Police say both suspects had broken into the auto shop at midnight. They then returned at approximately 4:00am and began to steal more property from the business and vehicles from the lot. The suspects removed a white van from the business’ garage and parked it in the alley. Property had been loaded into the van, but it was safely recovered after officers chased the suspects. Police later recovered the Cadillac which was parked at St. Mary’s church parking lot in Walkerville. Police are seeking any witnesses who may have seen suspicious behaviour at the involved auto shop, may have witnessed the stolen Cadillac being abandoned, or have any information about the incident.